A Cruise going into Sunset at Milford Sound, a fiord in the southwest of New Zealands South Island. Milford Sound is a fusion of spectacular natural features, rainforests and waterfalls. A row of Willow Trees in shallow waters at the Northern end of Lake Wakatipu at Glenorchy in summer, with snow-capped mountains in the background. 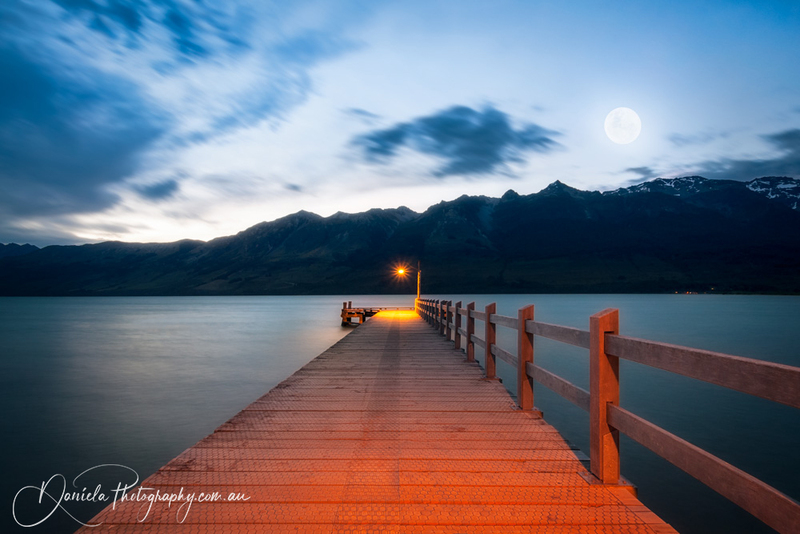 Glenorchy is a charming touristic village in Otago Region, South Island, New Zealand. A symbolic willow tree off the shore of lake Wanaka in New Zealand that captured the imagination of numerous photographers with its story of beauty and survival. 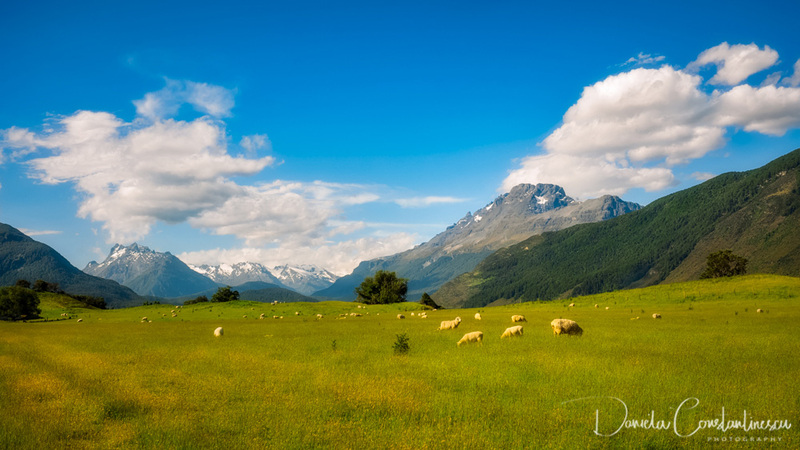 Almost typical New Zealand landscape with snow-capped mountains and meadows with sheep from the remote Kinloch-Glenorchy road in Otago Region, New Zealand, South Island. Beautiful Morning Light on the shore of Lake Wakatipu at Wilson Bay, with a willow tree leaning over the water in Otago Region, New Zealand, Southern Island. Beautiful reflections at Lake Gunn on the way to Milford Sound in Fiordland National Park, New Zealand, South Island. 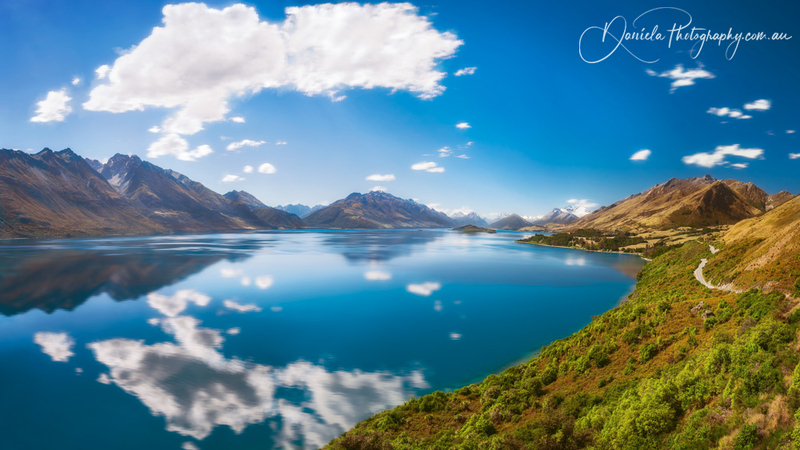 Beautiful View of Lake Wakatipu with clouds reflections in the water at Wilson Bay, Otago Region, New Zealand, Southern Island. Bennett's Bluff Lookout, Glenorchy Road, New Zealand -A Viewpoint on one of the most scenic drives in New Zealand that connects Queenstown with Glenorchy and overlooks Pig and Pidgeon Islands and Lake Wakatipu. Colorful fields of lupines growing along the side of Crown Range Scenic Road between Queenstown and Wanaka. They bloom in December in the South Island of New Zealand. Dramatic clouds in the morning at Milford Sound in Fiordland National Park. Milford Sound is a fiord in the south-west of the Southern Island and New Zealand's most spectacular natural attraction. An overnight cruise is the most desirable way to enjoy it. Epic Sunset at Milford Sound, a fiord in the southwest of New Zealands South Island. Milford Sound is a fusion of spectacular natural features, rainforests and waterfalls. Fantastic Panoramic views of the town and alpine scenery the from the winding road that connects Queenstown with the Remarkable Ski Area on a beautiful summer day. Forest and mountain range at Wilson Bay on the side of Glenorchy-Queenstown road with golden grasses in the foreground. New Zealand, South Island. Forest perspective view looking up in summer with a sun star above in between foliage on Glenorchy-Paradise road in Otago Region, New Zealand, South Island. A canoe on the side of the lake at Glenorchy Wharf with the pier and the mountain range in the distance, all bathed in the golden light close to sunset. Glenorchy is a charming alpine village located at the Northern end of lake Wakatipu, New Zealand, South Island. Glorious Morning at Lake Manapouri with the sunlight bringing golden hues in the crown of clouds raising from the mountain range in Fiordland National Park close to Doubtful Sound, New Zealand, South Island. Glenorchy Wharf close to sunset with the trees at Wakatipu lakeshore glowing in the sun light - Glenorchy, New Zealand, South Island. Wilson Bay, New Zealand, South Island -December 23, 2017: Magic backlit alpine scenery in the early morning light on the scenic road in between Queenstown and Glenorchy, at Wilson Bay, New Zealand. 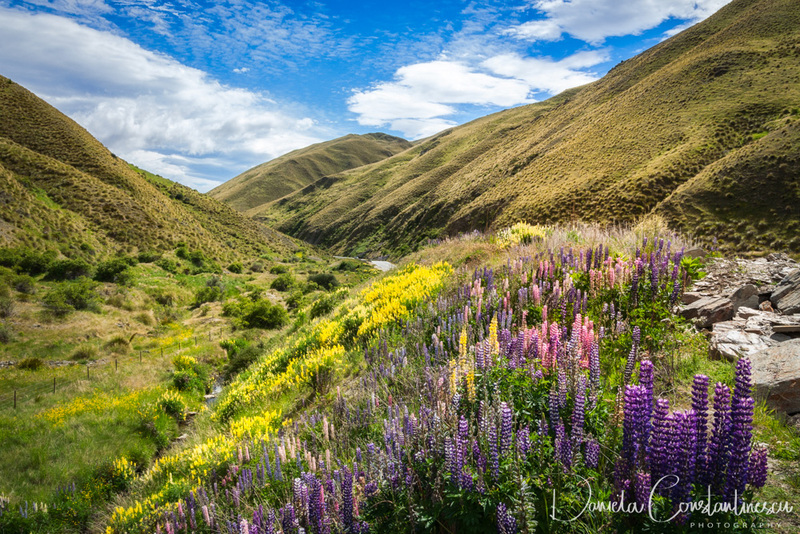 Beautiful view along Crown Range Scenic Road in New Zealand, with lupines flowers in the foreground in the first month of summer. They look lovely to the tourists but they are considered a pest plant species in New Zealand. 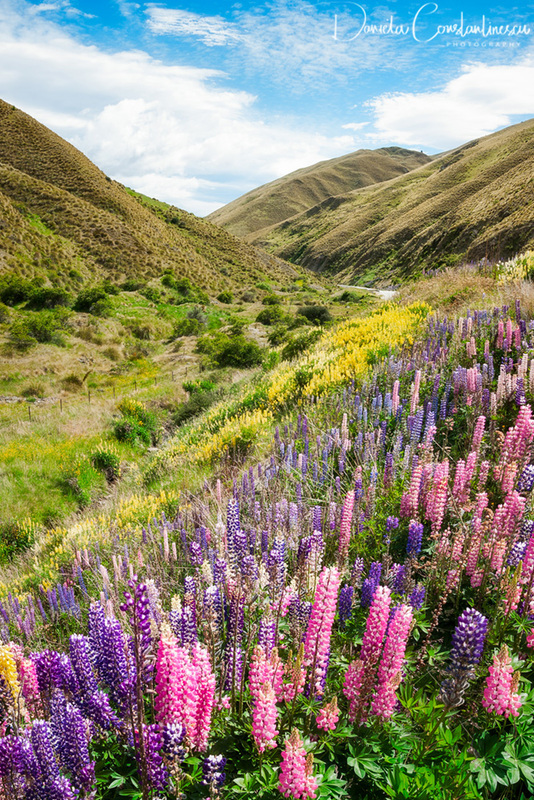 Colorful fields of Lupins growing along the side of Crown Range Scenic Road between Queenstown and Wanaka. They bloom between November and February, but as lovely as they look to the tourists, they are considered a pest plant species in New Zealand. Milford Sound over night cruise stops at beautiful Harrison Cove for sunset. Milford Sound is a fiord and the most beautiful natural feature of New Zealand's Southern Island that inspire travelers to make the long journey to this out-of-the-way, pristine corner of Fiordland National Park. Kia, the inquisitive New Zealand native parrot on top of a car at Mount Talbot on Milford highway, close to Homer Tunnel in Fiordland National Park, New Zealand, South Island. The Shipping Docks and mountain range at Deep Cove in Doubtful Sound on a beautiful summer morning in New Zealand, South Island. Mountain View Close up with green grasses in the foreground in spring at Gertrude Valley Lookout, a scenic stopover on the road to Milford Sound in Fiordland National Park, New Zealand, South Island. 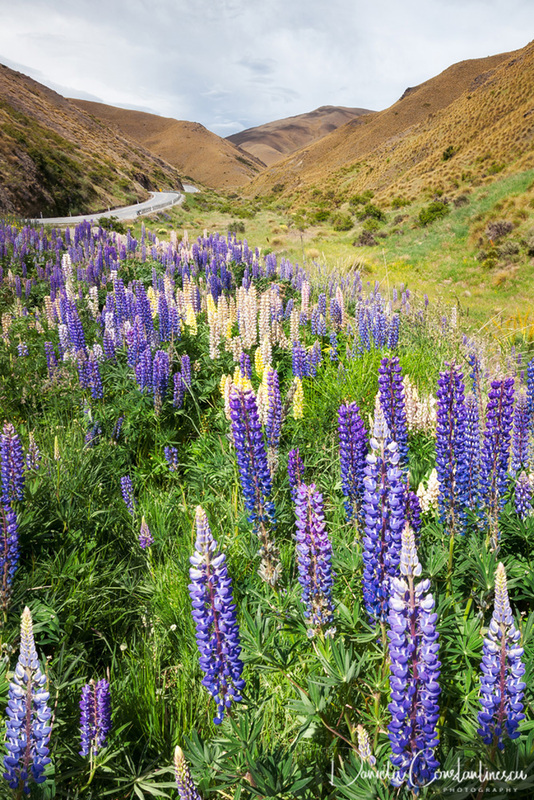 Colorful fields of Lupins growing along the side of Crown Range Scenic Road between Queenstown and Wanaka. They bloom between November and February, but as lovely as they look to the tourists they are considered a pest plant species in New Zealand. Amazing Sunset view from the top of Queenstown Skyline in New Zealand, with the dramatic Remarkables Mountain in the background washed in red light, and the city lights slowly turning on in the alpine city, while the waters of lake Wakatipu are changing in a darker shade of blue. View from the old Bridge towards Coronet and Brow Peaks, over Shotover River, formerly one of the richest gold bearing rivers in the world, Queenstown, New Zealand. 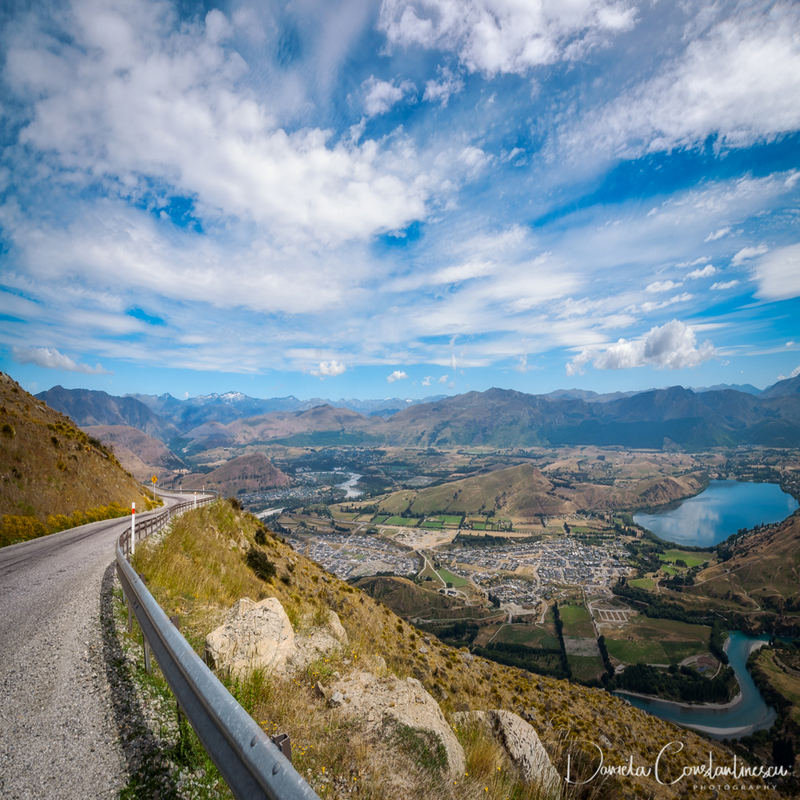 Panoramic View from above on the winding road from Queenstown to The Remarkable Ski Area showing the town bellow and Shotover and Kawarau rivers, Lake Hayes and spectacular mountain range in the distance. Spectacular mountain range surrounded by clouds close to sunset at Milford Sound, a fiord in the southwest of New Zealands South Island. A boat cruise is a very popular attraction and a way to enjoy the most impressive natural feature of New Zealand. Low angle view at Lake Wakatipu with snow capped mountains and Pig and Pigeon Islands in the background, famous location in New Zealand's Southern Island. Bennett's Bluff Lookout, New Zealand -A famous lookout with a breathtaking view that overlooks Pig and Pigeon Islands and Lake Wakatipu on one of the most scenic drives in New Zealand from Queenstown to Glenorchy on South Island. Interesting Mountain Range at Doubtful Sound that looks like a fantasy land. Numerous locations in Fiordland National Park were used for locations of the 'Middle Earth' in 'Lord of the rings' movie. -New Zealand, South Island. Beautiful Light, fog, and reflections early in the morning at Waiau River Bay, the starting point of the cruises for Doubtful Sound on the side of Lake Manapouri. Doubtful Sound is a fiord in New Zealand's South Island, lesser known, but twice as long as Milford Sound. Glenorchy, New Zealand -December 22, 2017: Small barn at Glenorchy Wharf close to sunset with the trees on the lake shore glowing at golden hour - Otago Region, New Zealand, South Island. Forest perspective view in summer with sun rays from above on Glenorchy - Paradise Road in Otago Region, New Zealand, South Island. 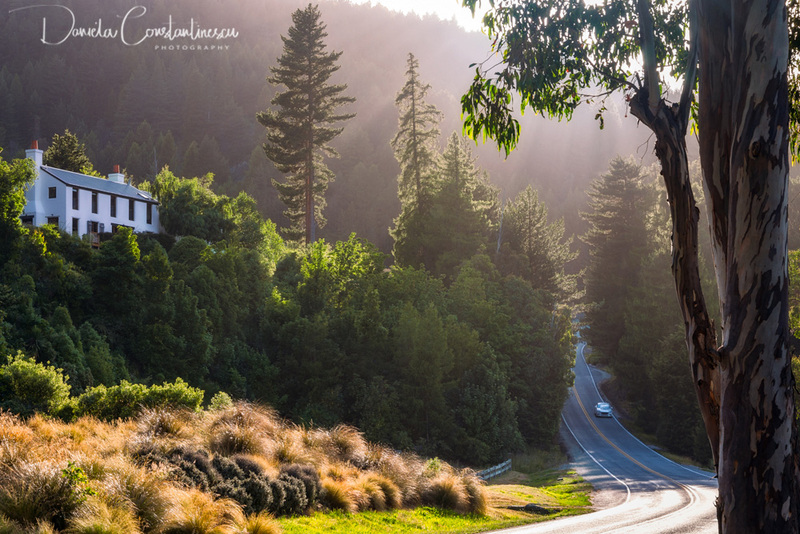 Driving up the winding road from Queenstown to The Remarkable Ski Area, will get you spectacular scenic views of the mountain range, as well as Kawarau River and Lake Hayes. Queenstown, New Zealand -December 23, 2017: Morning Cruise on board of Queenstowns iconic vintage steamship TSS Earnshow, one of the turistic attractions on Lake Wakatipu, Otago Region, New Zealand. Resting on the rocky shore of Lake Tekapo on a beautiful summer day by the Southern Alps in Canterbury region, New Zealand. One of the numerous waterfalls which plummet down the sheer cliffs at Milford Sound. Milford Sound is a fusion of spectacular natural features, a fiord in the southwest of New Zealands South Island. Wild Flowers at Lake Tekapo on a beautiful summer day, Canterbury Region, New Zealand, South Island. The top portion of the road from Queenstown to The Remarkable Ski Area is winding through rough mountain range terrain with majestic mountain peaks in the distance.